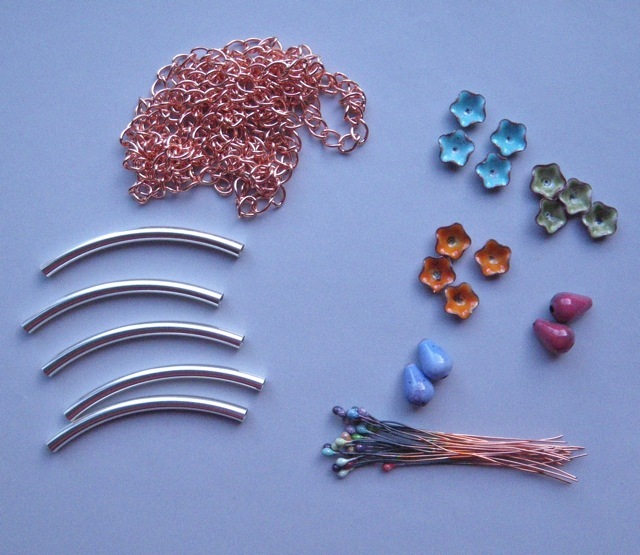 Copper chain and curved sterling silver tubing from Fusion Beads and enameled beads and head pins from SueBeads. It’s so exciting to come home from a day off island to find mail. Small packages with big possibilities. I have plans. So many plans. 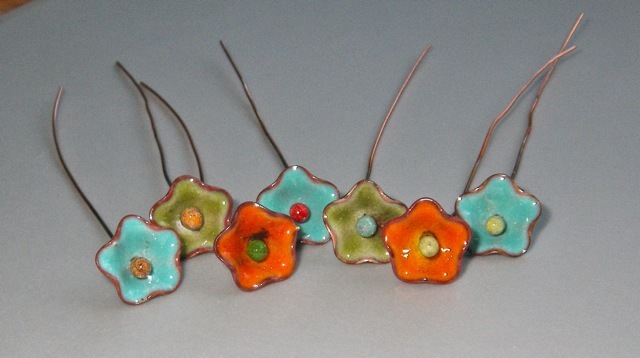 I do love those enameled flowers!